Over the past 400 million years the planet has faced five extinctions — Ordovician-Silurian, Late Devonian, Permian-Triassic, End Triassic, and Cretaceous-Tertiary. Are we approaching another massive scale extinction? 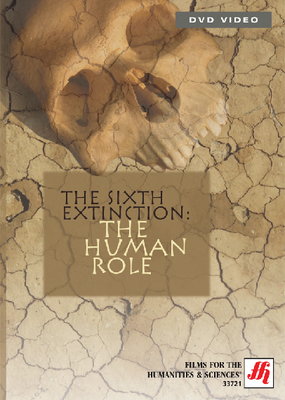 This alarming program assesses the extent to which Homo sapiens is provoking the planet’s sixth extinction. According to scientists, wholesale destruction of habitats by humans contributes to the disappearance of 27,000 species each year. With decimation proceeding at such a rate, how long can life on Earth survive? Interviews with Oxford University zoologist Richard Dawkins, Harvard biologist Andrew Knoll, and Sussex University paleontologist Richard Fortney are featured. Duration: 52 minutes. Note: Available to U.S. and Canada customers only.